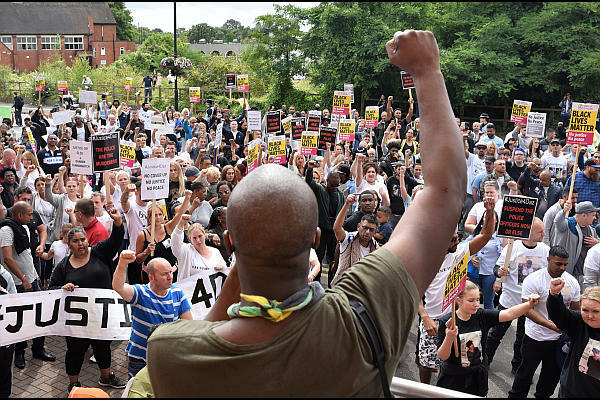 You are here: Home / deaths / news / Justice for Darren Cumberbatch – Jail killer police! Speakers on Saturday included Darren’s family, community activist Rev Desmond Jaddoo and witnesses from the hostel where Darren was interrogated by police on the night he ended up in a coma. The march was led by Darren’s family and supported by his many friends as well as community activists and trade unionists from Coventry and beyond.